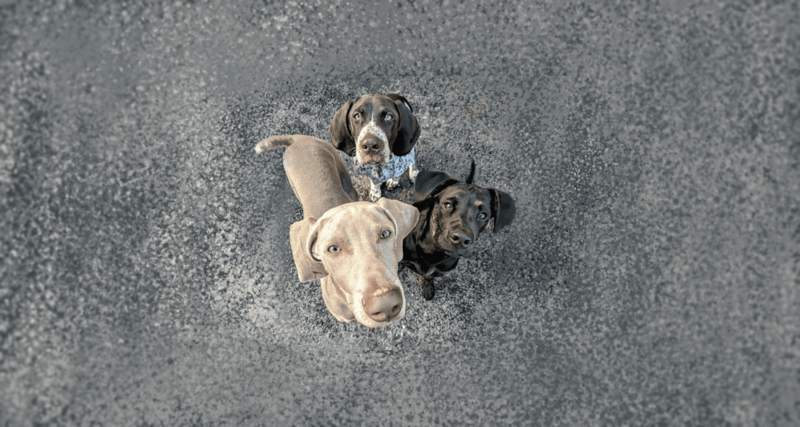 Since 1990 The Coventry School for Dogs and Their People has been helping dogs and their owners by providing outstanding daycare, training, and boarding. We LOVE dogs and they are our passion! That is why every dog at Coventry is treated like they were our own and why nothing but the very best will do when it comes to those in our care. We ARE the experts. Our trainers have attained advanced skill levels through the attendance of numerous seminars, conferences and training camps. They hold professional certifications and have advanced degrees in animal behavior. They have extensive experience in working with fear, aggression and a variety of other behavior problems. They are consistently recommended by Veterinarians and Veterinary Behaviorists. Experience - Our staff is educated in canine behavior, skilled in caring for and handling dogs, and certified in Red Cross Pet First Aid. They regularly attend continuing education and training sessions to increase their knowledge and skill. Supervision - We provide full-time, in-person supervision of all canine interactions. Dogs are never monitored remotely using webcams at Coventry. Cutting edge methods - We use the most current, humane and effective techniques to train you and your dog all the way to success! Our daycamp staff is happy to reinforce good manners, like sitting politely, waiting your turn, walking nicely, and not door dashing. Personal service - Outstanding customer service is our hallmark. Caring for dogs shouldn’t be a one-size fits all arrangement. We recognize that everyone is different, so here at Coventry we will work to meet you and your dog’s specific needs. We accommodate older dogs by providing a The Lounge Hounds where extra love, attention and potty breaks replace the rowdiness of youth. State-of-the-Art Facility - We offer safe, sanitary play spaces with padded floors, fenced relief areas, top of the line dog toys and equipment. Safety and health - the safety and health of our clients, human and canine alike is paramount. All dogs must pass an evaluation and have required vaccinations. We separate playgroups based on temperament, play style, age and activity. We use pet/ environment friendly cleaning products and state of the art floor cleaning equipment to ensure that Coventry is a clean and healthy place. FUN - We make it fun for everyone! From classes to pick-ups you and your dog will leave smiling! Ron is a Certified Nose Work Instructor (CNWI™) and has been teaching K9NW® classes since May 2017. He completed his CNWI Internship (March-December 2017) at Coventry. In keeping with Coventry’s principles, his training philosophy is no force training and aims to create a fun, positive environment for dogs to explore and learn to solve odor puzzles. Ron’s specialty is sharing his knowledge of K9NW while enhancing the bond between handlers and their K9 companions. Ron is active in the K9NW sport, competing with his own dog Hogan, and volunteering at trials. Ron and Hogan have achieved several titles and are currently competing at NW level 3.